Welcome to ‘May We All Heal’ (MWAH), a creative healing journey through the month of May, focusing on grieving and healing for grieving parents. it means actively creating a new meaningful future – starting now. 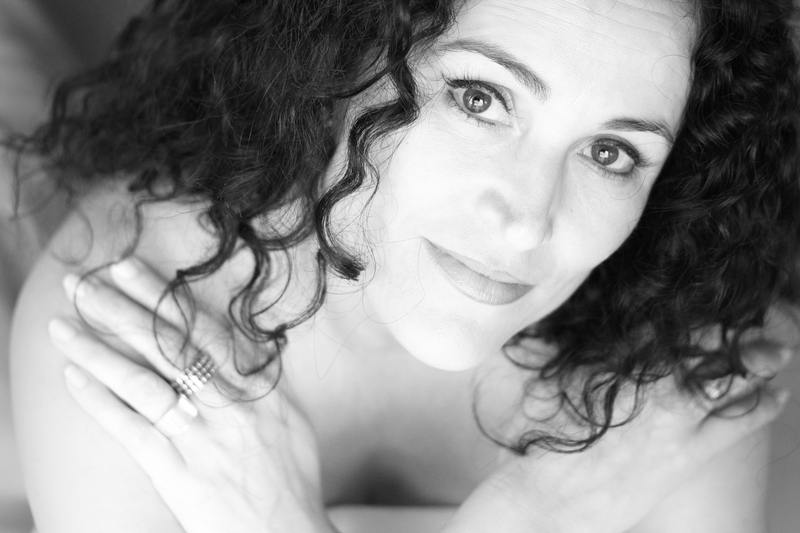 Come and join the ‘May We All Heal’ MWAH event here. 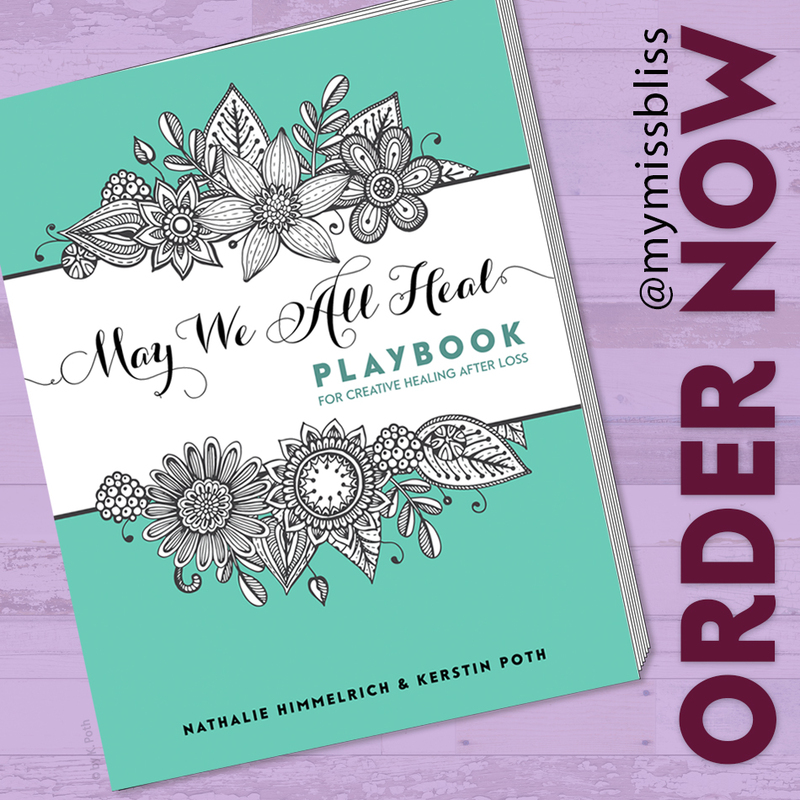 For May 2015, a group of women from the Grieving Parents Support Network community created the ‘May We All Heal’ project, a creative healing journey for women and men. Since then, it has been running every year in May. For the first project, we focused on creating a photographic journey following daily prompts, which were shared on Instagram and on Facebook using the hashtag #mayweallheal or #MWAH followed by the year. Participants especially benefited from the community that resulted from the event, both on Facebook as well on Instagram. It allowed parents, mostly women but also men, to go deep into their journey of grieving and healing after the loss of their child. We now have a companion book for you, in the format of a beautiful, large format playbook. It will guide participating mothers and fathers to use creativity for healing. (It can even be used by anyone suffering loss, be that of a loved one, a relationship, a home or a pet). This can be through drawing, painting, doodling, coloring in, writing, and so on. Use this book for those artistic mediums that work well on paper, as the journal or diary to express your thoughts and feelings. You can also expand your creativity outside the scope of the book, with pottery and clay work, body artwork, movement, expressive dance – your imagination is limitless! “But I’m not creative!” you might say. It’s not just for May. We have since opened up the timeframe from one month to whatever timeframe and rhythm suits YOU. You have the option to follow the prompts suggested in the book (for one month) or use your own. Us the book in May or any other time frame you choose. Follow your intuition and dedicate time to your healing. Share your pages on social media (IG or FB), if you like. You can also choose for them to remain private. The book is available here and it’s available as softcover and hardcover version. ‘May We All Heal’ is a FREE event which you can join in, with or without the companion book. Simply follow the prompts. They will be sent out via the newsletter (sign up here). Also make sure to follow Nathalie on IG @mymissbliss. Sharing your healing journey on social media is optional but offers a beautiful support from the community, either on Instagram and on Facebook. You can find the Event details here. Make sure to follow Nathalie on IG @mymissbliss to see more and stand a chance to win a book! Finding ways for healthy grieving and healthy healing. 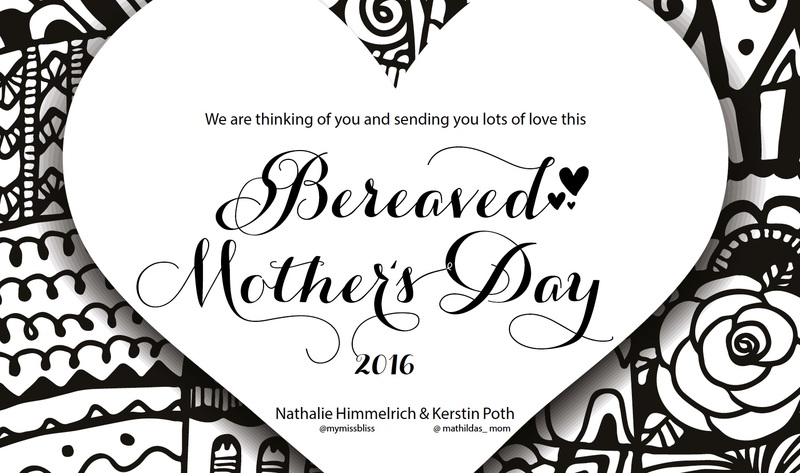 International Bereaved Mother’s Day is on the first Sunday in May. We are thinking of you and send you our love. Please feel free to download our 2016 gift to you here, then print it and use allow yourself some time with your healing creativity. For 2018, there will be a new gift sent out by newsletter – join here.